Please click on the menu above to browse through our site! This site is moving to WordPress! Loosely based on the comic book "Green Arrow", Arrow follows the adventures of wealthy crime-fighter Oliver Queen, returned from an island after a yacht crash--everyone thought he was dead. On the island, he learned how to use a bow and arrow, and how to fight, and now he is a deadly weapon of vengeance. His father died in the wreck, and Oliver vowed to right the wrongs that their family business and others have perpetrated on Starling City. After years of struggle, he has become The Green Arrow a hero, and no longer kills his foes. He fights with a good team of heroes, including his best friend John Diggle and computer genius Felicity (now his wife). 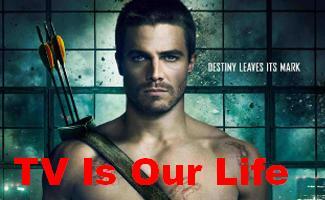 Welcome to our site for "Arrow" on The CW! Check out our many Arrow pages above in the menu! Send a message to feedback@CWTV.com and tell them how much you love "Arrow!"